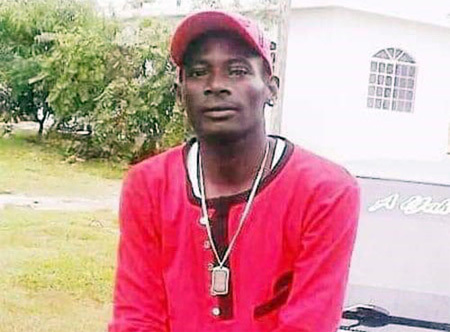 A family, a school and a company have all been plunged into mourning while a 17-year-old boy now ponders his fate in police custody, after he was detained on Friday in connection with the brutal slaying of 44-year-old security guard, Clifton ‘Cliffy’ Lumley at the Grange Hill High School in Westmoreland. Lumley, a resident of Llandilo, died on Saturday after undergoing treatment at the Savanna-la-Mar Hospital after he was stabbed while on duty at the school on Friday. Reports indicate that Lumley was on duty about 2:50 p.m. when he approached a number of boys who purportedly gained entry to the premises by jumping over the fence, and spoke with them, one of whom was serving suspension, entreating them to leave. The Dean of Discipline also spoke with the boys and told them to leave. The boys left but subsequently returned and it is alleged that a dispute developed between Lumley and the boys and the police were called. Lumley, along with two persons, were sitting in front the guardroom when two boys ran towards them. The other persons got up while Lumley stayed. One of the boys allegedly used a piece of stick to hit Lumley on the shoulder. Realizing he was under attack, Lumley attempted to run into the guard room when the other boy used a knife to stab him several times. He was rushed to the Savanna-la-Mar Hospital where he later died after undergoing surgery. Hilary Lumley, Clifton’s sister, says he was the eldest and only boy of six children for their parents and his death has hit the family hard. “Our father, who is 74 years old, made one scream and cried when he heard. he has since become withdrawn and is not talking much. He and daddy were very close. We had to rush with our mother to hospital where they admitted her for a few hours to stabilize her blood pressure. As for me, I am trying to use work to distract me. I plunge myself into work. That’s how I am fighting to cope because we were very close,” she explained. She said her brother was a peace-loving person who was helpful to everyone. Clifton is the father of three, two daughters 18, 16 and a son, 9 years old. Meanwhile, Elrado ‘Popeye’ Smith, Area Manager of Alpha Security Company for which Clifton was employed up to the time of his death, says the company has lost a major asset and himself, a great friend. Smith said he has lost a good friend and neighbour and an exemplary worker.